Where is the exp share for Pokemon emerald plz. There are several cheats that would do that. Would you mind posting the code that you're trying to use? Maybe someone could help you out if you gave a bit more information. Press R+A while EXP Gained is displayed. What is R and A? The code works and it also have a secondary effect as well which is a 1-hit KO but beware that if your​ Pokemon use an attack that causes recoil damage to your Pokemon will faint and if your opponent pokemon happens to have rough skin like sharpedo your pokemon will also faint. It was nice to defeat a level 49 pokemon with just a quick attack from a level 25 pokemon. does this work on w/ an exp share? Would you please mind posting the cheat that you used? If you do then I'd be happy to help you. do you Hold R and A in the keyboard or the R and A button in the joypad?? When I add and enable the R&A code I save it, when I look back at it to edit it,(to make sure I entered it correctly) it's putting a space in the middle of both code, no matter how many times I fix it, it continues to pit a space in the middle of both codes,??? Because it is a CodeBreaker code, therefore, it has 8characters-space-4characters. 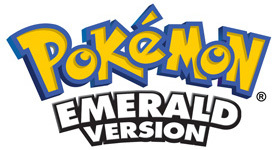 This works on expert emerald.. Thank youuu!! I had the same problem, but I found you that you have to put in the Master Code first, save the game naturally, then reset. This installs the Master Code for you to add and remove codes after words. You won't even have to reset it after that. get all key item ermm... all my key item has gone bec..